I grew up in Wetherill Park, NSW. I started collecting in 1979-1980, around 6-7 years of age, Kindergarten. I used to buy the packets from the local corner shop in Mount Druitt. I Started with Rugby League and my favourite cards were South Sydney. .
Bubblegum, that was the reason I started collecting them. We used to play flicks against the wall and Snap. There was also a game called knock downs, you would put the cards up against the wall and whoever could flick their card and knock them all down would get the lot. How did you store your cards as a kid ? Used a rubber band and stored them in either my shoe box or lunch box. 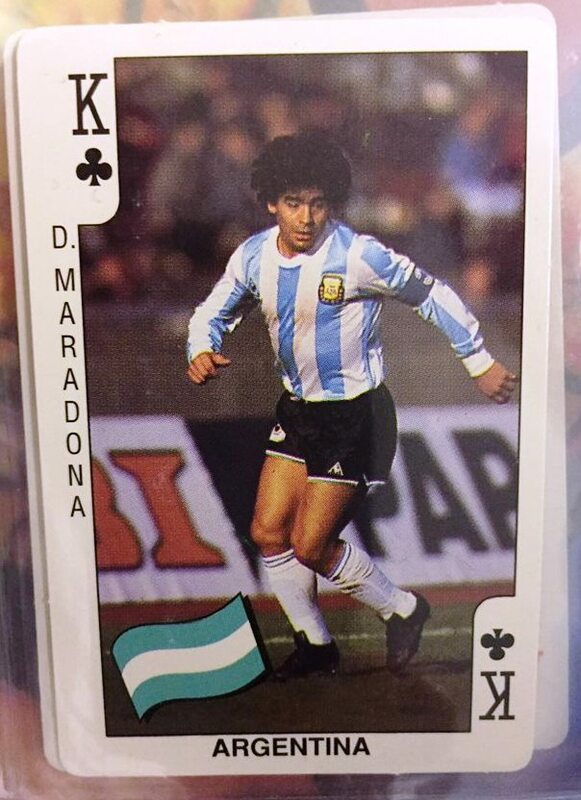 I think it was in 1986 when I started collecting the Soccer cards, they were the playing card ones and Maradona was the best card in the set. Soccer is what I am pushing to complete, basically I have all of them except for the Scanlens 1963 cards. The main sets are from 2006 which were all Select, then there was an exclusive set sold by Wangy and now there is Tap and Play do them. I don't collect everything in Rugby League, only certain cards that have a bit of value in them and South Sydney. How do you derive value in cards ? 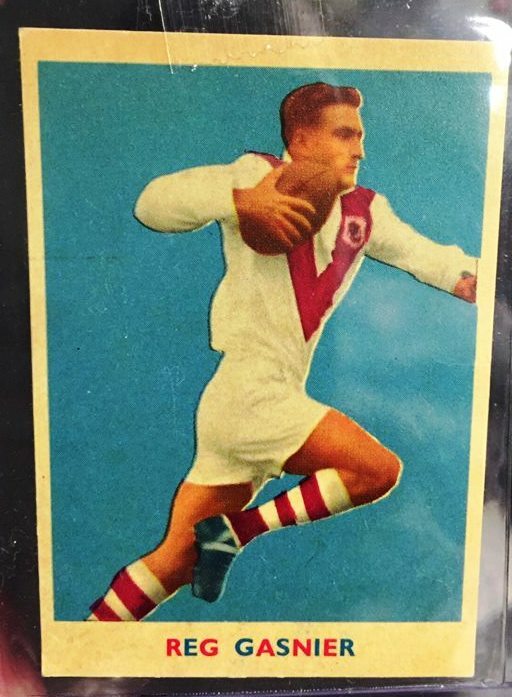 What are your top Five collectable cards / card sets over the years in Rugby League ? The most sought after cards now would be a toss-up between the Centenary Six (2008 Immortal Signature Set) and the Black League Leaders from Select Dynasty 2012. The Captains Signature Cards from 2004 are very special and the other ones I like are the Captains Signatures from the 2009 Classic set. The fifth one would be the 2006 Invincibles set which included the Legend Die Cut cards out of 175, Top Prospects and the Redemptions such as Laurie Daley, Tim Smith, Andrew Johns limited to 120 per card. It changed in 2000 because Dynamic finished in 1997 and for two years we had nothing to collect except for club release cards, that is if you collected those. I didn't, but when Select 2000 came out, I remember it clearly. I knew a wholesaler AMW Holliers, back then they were in Smithfield and they were selling boxes to newsagents and because I knew him I was buying boxes and from that year onwards I was addicted to collecting all of the Select cards. I managed to collect every single card in Selects range from 2000 to 2012. Every single card that they brought out I collected. It is very hard to collect them all, to this day there can only be ten Master Set collects and this is due to the 2001 Challenge set had a one in 10 card which redeemed the entire set. So only ten people can only have master sets from Select. Now the signature cards are 1-110 and when my master set was redeemed with the Master Set cards they were not redeemed all the same number, I don't know why, they just came back like that. What have you been collecting since 2012? Just South's cards, ESP every series comes out and I just collect the South's cards. Apart from that I concentrate on my Soccer, I will keep buying this sort of stuff. When did you start selling cards? 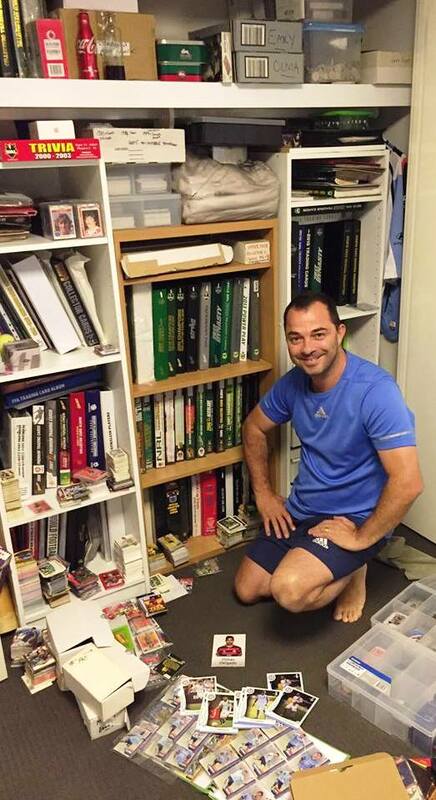 It was the at the card shows, I first got into Trading Card Shows as a seller around 2006 or 2007 and then I started selling at the Fairfield Markets which went for a couple of years. I gave the Fairfield Markets up because you just needed a lot of time to do it and I had a young family. I haven't been involved with the markets for around three years now. Now I concentrate on my website and EBay for selling along with word of mouth. 1963 Scanlens Soccer. They are very hard. I was spewing because not long ago there was about half a dozen on EBay and they were averaging about $150 a card which is cheap. They are Australian Soccer cards. 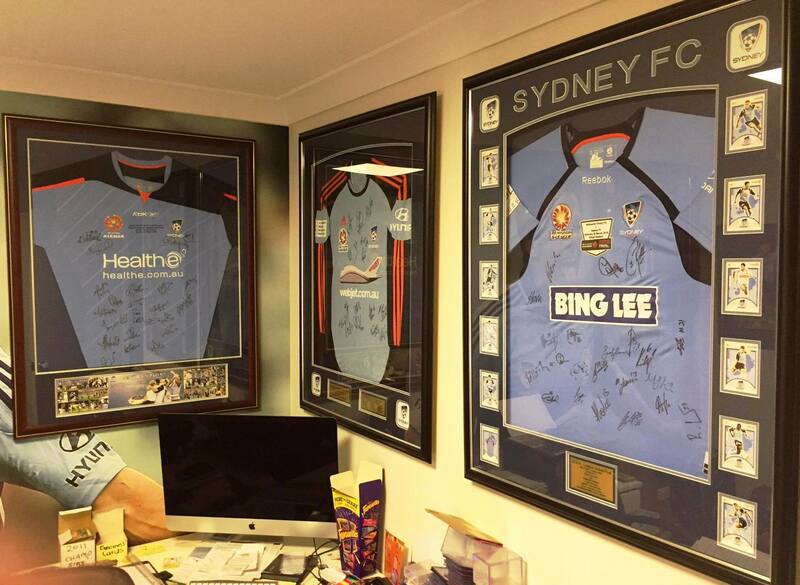 They came out in conjunction with the Australian Rugby League set in the same year. 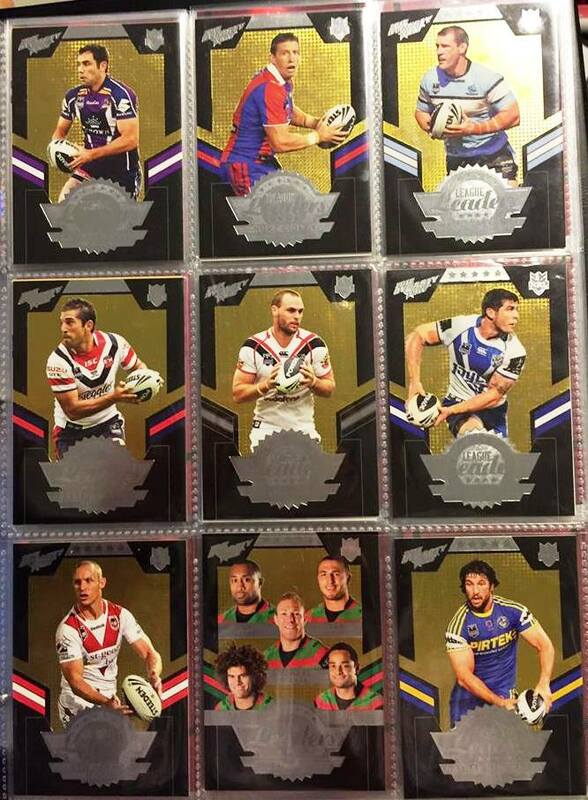 There was 18 cards in the set and like the Rugby League set there was no Scanlens logo on the front of the card. There was no Soccer set released in the 1964 season. They released a second set in the 1965 season and that had the Scanlens logo like the 1964 League set had. Johnny Warren was in the 1963 set. This is a hard question, because you need to sit there and count them all. I asked are you going to count them and he replied, I am not even going to, there is too much. Like I said I have 8,500 cards on my website. First, well you try to sell your commons first, but that's not going to happen. I would sell my Rugby League first. The ones you would find hard to replace are some of the high end cards from Select in the early years. 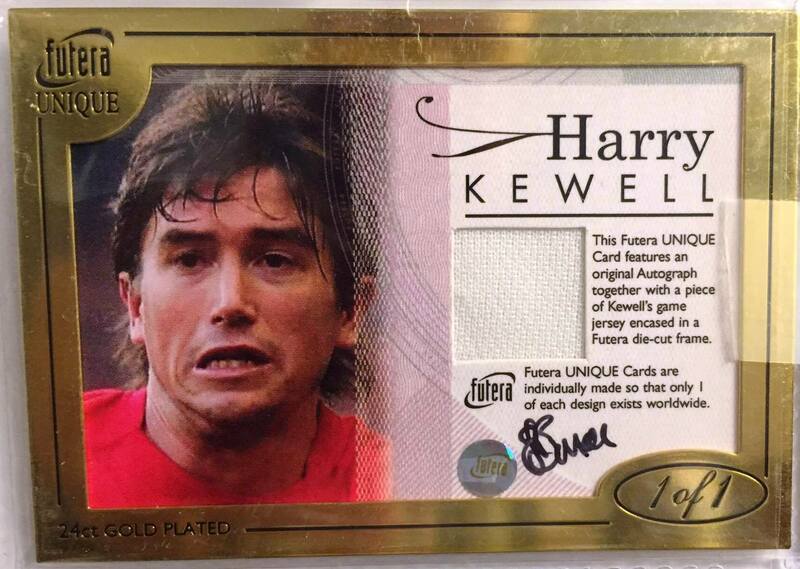 2004 Captains captains card and I haven't seen a 2009 Captains signature for quite a while as well.